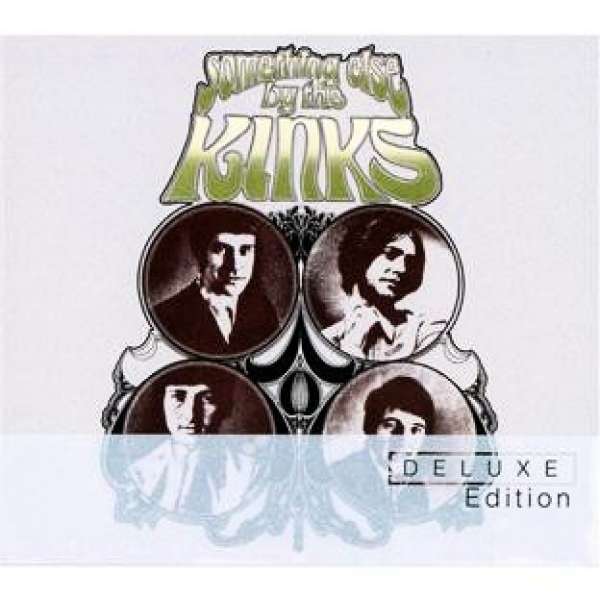 Der Artikel The Kinks: Something Else By The Kinks (Deluxe Edition) wurde in den Warenkorb gelegt. Something Else is the fifth UK studio album by The Kinks, released in September 1967. The album marks the final involvement of American producer Shel Talmy in The Kinks' 1960s studio recordings; henceforth Ray Davies would assume recording production. Many of the recordings feature the keyboard work of session player Nicky Hopkins, and the backing vocals of Ray Davies' wife, Rasa. Songs on the album composed by Ray Davies followed his affinity for strongly English-inspired subject matter, including the harpsichord-laden "Two Sisters", the lazy shuffle of "End of the Season", and the sardonic "David Watts". The album includes the hit single "Waterloo Sunset". This 2-CD deluxe set has a vast array of bonus material and an upgraded booklet.